Our dental clinic is established to provide tourists and the local comunity the most modern and highest quality dental services and works in the Philippines. Its modern equipment and well trained dentists give the patients a feel of comfort and hospitality. It is established because of the increasing demands from dental tourists who wants to be treated while on a vacation. One advantage of it aside from the lower costing, you can go on a vacation while waiting for your dental prosthesis. Dentist Philippines- these two words mean a lot, exactly the wish to satisfy our patients needs by rendering an excellent dental service with outmost quality. COSMETIC and FAMILY DENTAL CLINIC Manila/Philippines make possible for you to travel to this beautiful country and get a low cost dental treatment. What are the type of dental works done by our dentist? We as dentists in Manila/Philippines are offering specialized general and esthetic dentistry, interceptive and preventive orthodontics, pedodontics, periodontics, endodontics, oral surgery and prosthodontics. We offer all kinds of dental work like dental crowns, dental bridges, and dentures. What is the speciality of COSMETIC and FAMILY DENTAL CLINIC, what makes us more advanced of the others? We have an inhouse international dental laboratory which exports dental works to Germany, U.S. and Japan. The high quality standard of our dental technical works are very important for the success of our dental treatment. Enjoy your dental treatment at Tooth & Go in Manila and contact us to book an appointment or for enquiries. 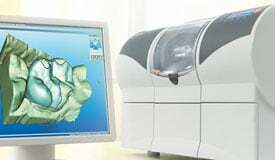 At Tooth & Go Dental Clinic we are operating a Cerec Cad Cam . Cerec is a chair side cad cam device, which produce crowns, veneers, and inlays, directly from the dental chair. Cerec technology was developed in the mid of the 80's and is now the world standard of chairside cad cam. The precision of this kind of restoration is comparable to high quality dental restorations. 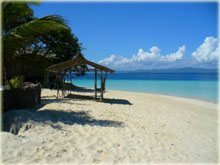 Dental tourism is a reason to visit the Philippines. Our dental team provides the best available treatment in this country. We offer packages that include a stay in our partner resort combined with a dental treatment. Our dental clinic is located at the No. 164, A. Aguirre Street, Barangay BF Homes Paranaque City, Metro Manila 1720, Philippines. The distance to the International Airport NAIA Terminal is only around 15-20 minutes by car or taxi. We can provide you a pick up service from the airport by our driver, who can bring you directly to your hotel. Download a map for the taxidriver here. Close to our Clinic there are several hotels, mostly in Alabang area. They range between 2 and 5 stars, we especially reccomend the Bellevue Hotel which is a 5 star international hotel with superior rooms, spa, and pool. Cosmetic dentistry is a hot topic, and with COSMETIC and FAMILY DENTAL CLINIC you can get "in the know how." Our specialty are full mouth reconstructions with full porcelain material. Mostly we are using Zirkonia and Empress as a standard material. We offer dental implants in our dental clinic. We use dental implants from Straumann, Nobel Biocare and Medical Titanium. Our inhouse dental lab follow international standards. In case you want to order lab work from abroad as a dentist or dental laboratory, please contact us by phone or email.. For patients: Learn more about zirconia crown production. Alf Klimek as an international known artist visited our clinic in july 2010. We installed zirkonia cad cam crowns .